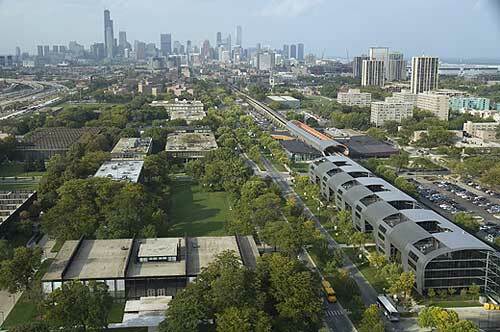 This is an article that I wrote about historic landscape preservation at IIT in Chicago—a modern masterpiece of campus architecture with fascinating planning issues. It appeared in the September 2006 issue of Landscape Architecture magazine. Moving Beyond Mies: Can a landscape redesign that invokes the spirit of Alfred Caldwell improve a modern masterpiece? Can a landscape redesign that invokes the spirit of Alfred Caldwell improve a modern masterpiece? 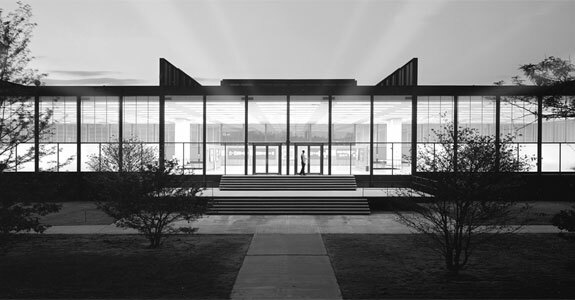 The pairing of architect Ludwig Mies van der Rohe and landscape architect Alfred Caldwell for the design of the Illinois Institute of Technology (IIT) campus was a surprising one. The German-born Mies promoted an international modernism with little direct reference to indigenous materials. The Bauhaus tradition that Mies and his architecture faculty at IIT epitomized embraced a bold future where functional design transcended the constraints of geography and, especially, the historicism of nineteenth-century architecture. Beginning in 1940, two years after his arrival on campus, Mies would design 18 buildings for IIT and influence thousands of others throughout the world. For the Bauhaus and its practitioners who emigrated from Germany to the United States, Machine Age design could be applied at any scale ranging from kitchen utensils to entire cities. The history or ecological nuances of a project’s location mattered little. Caldwell, by contrast, was a local Chicago-area practitioner who is still relatively unknown in the history of American landscape architecture. He was a protégé of legendary Chicago landscape architect Jens Jensen. Between 1924 and 1929, Caldwell assisted Jensen on some of his most important projects, including the Edsel Ford Estate in Grosse Pointe Shores, Michigan. Caldwell described his mentor as “the great symbol of my life.” He was also strongly influenced by Frank Lloyd Wright, whom he visited at Taliesin (Wright’s home estate in Spring Green, Wisconsin) in 1927 at the recommendation of Jensen. Caldwell’s landscapes and indigenous stone buildings show a strong Wrightian influence in the way foundations seem to flow out of the ground and buildings wrap the visitor with very tactile limestone. He carried this theme back to Chicago, where he designed several park projects, including the Lily Pool in Lincoln Park in the late 1930s….